Celebrate the good life in this awesome, 3 bed/2 bath main house, 1 bed/ 1 bath guest house with Horse Facilities. Kick back and enjoy endless views, exceptional sunsets & pristine mountain vistas in almost every direction. 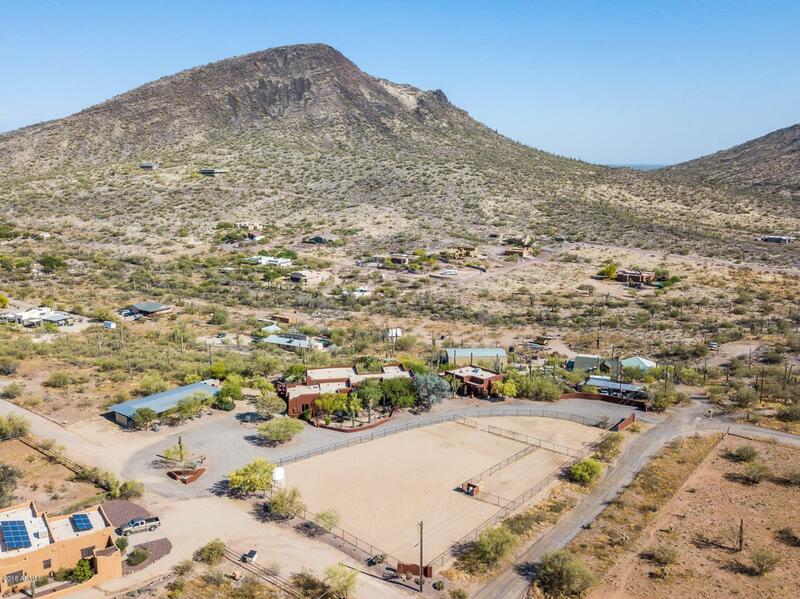 Beauty is the cornerstone of this home, tucked away on 2.5 acres just minutes away from the quaint shops & restaurants of Cave Creek and Anthem. Recently remodeled to capture the essence of desert living, the design & finishes will not disappoint the most discriminating buyer. A quaint and welcoming detached 1000 sq/ft guest house enjoys a spacious family room/kitchen, bedroom, bath and private patio. Horses will enjoy the 5 stall barn and three large turn outs and/or arena. Plus endless trails in the Tonto National Forest.